Regan's brother Liam can't stand the person he is during the day. 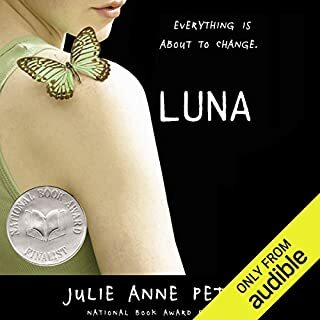 Like the moon from whom Liam has chosen his female namesake, his true self, Luna, only reveals herself at night. In the secrecy of his basement bedroom Liam transforms himself into the beautiful girl he longs to be, with help from his sister's clothes and makeup. Now, everything is about to change - Luna is preparing to emerge from her cocoon. But are Liam's family and friends ready to welcome Luna into their lives? It should be the happiest time of her life, but Danny's first weeks finally living in a body that fits her are more difficult and complicated than she could have imagined. Between her father's dangerous obsession with "curing" her girlhood, her best friend suddenly acting like he's entitled to date her, and her fellow superheroes arguing over her place in their ranks, Danny feels like she's in over her head. She doesn't have time to adjust. Dreadnought's murderer - a cyborg named Utopia - still haunts the streets of New Port City, threatening destruction. If Danny can't sort through the confusion of coming out, master her powers, and stop Utopia in time, humanity faces extinction. 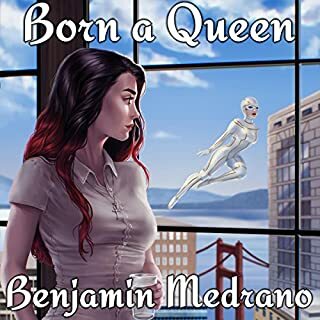 Original cover art copyright Diversion Publishing Corp.
©2017 April Daniels (P)2017 Audible, Inc.
As a very queer trans lady, this story was relatable on a multitude of levels. While I haven't had *every* verbal battle with my parents as Danielle, I could repeat about 90% of them from memory while they were happening. I feel I should address some issues that certain groups of people might have with this story. First, cis people will probably think that Danielle talked about being trans too much. They might think that no one would say that things that Graywytch said. Neither of these are valid criticisms. When a trans person is closeted and then even more when they come out pretty much the entire weight of western society tries to shove them back into repressing or suppressing their identity. It happened to me, and I've seen it happen to three of my friends. Fighting back is a constant struggle even when we've known the truth for years. Danielle going through it was simultaneously painful and affirming. As for Graywytch, well... Let's put it this way. I only rarely get mad at fictional characters, and until now, I have never so desperately wanted to see one end up dead. Why? Well, because she uses the same rhetoric and tactics as real-life TERFs. I half think that April just copied some TERF's post for one of Graywytch's rants. The spelling, more than anything, gives it away -- a classic TERF practice is to spell "women" as "womyn." If you thought that her rant was too heavy-handed, then please, please take it up with the women that police our gender, and get them to stop. Secondly (and that was a pretty long first point), I'd like to talk to the other trans people who might want to read this. If you haven't made peace (in whatever form) with your family situation, you might want to wait to read this. Get it, and let yourself wait until you're ready. Vindication and validation can wait for you in your pocket -- in the form of a fifteen-year-old girl. And she is fifteen and just out as trans and lacking any other queer people to support her. Keep that in mind with some of the language she uses. Be kind to her -- she's got a lot of internalized stuff to work through. On top of rhat, she hasn't had support in working through it - quite the opposite, in fact -- and she's so incredibly young. That stuff aside, I had a few minor quibbles with the writing itself, mainly in terms of word repetition and the passage of time feeling more like something I had to keep track of than something visible in the world. That makes some of the dramatic irony seems strange until you think back on realize that enough time has passed for certain things to no longer be obvious to the characters. Despite those minor issues I had with it, I like the use of a superhero story to explore the almost illogical reality of domestic abuse. It really underscores how physical power can have so little bearing on the situation as to be meaningless. Overall, I would definitely recommend this book to a friend (and have already, in fact), and I will be picking up the sequel. I don't know if you read the Amazon comments, April, but if you do, good on you for writing this. Thanks for representing me. Listened straight through in a single sitting! I worried that the magical transformation would be cliché and strip Danny of her transness like I've seen so many times before, but it was so far from that! Hell, the speech in chapter 7 is one of the most powerful pieces of trans affirmation I've ever heard. Could not recommend this book enough! I loved this book. the story was great, and the narrator was absolute perfection. great job! This book was amazing. Not only was Natasha Soudek's delivery fantastic, but April Daniels's debut novel was written with amazing skill. This captured the LGBT experience in such a way that even those who are not trans can understand and relate. 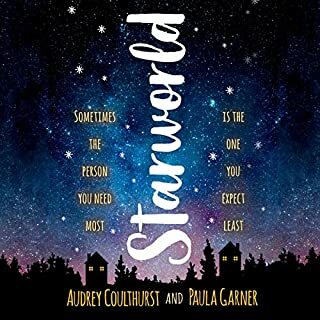 It's been quite some time since I was unable to put a book (or in this case, audiobook) down, and even longer since I've gotten this emotional over a hero's journey. I loved Danny the main character. She is wonderfully drawn by the author. I think the book is great balance of superhero action and teen introspection. Her experiences of coming out as trans, the excitement and the hurt, the family that shuns her and the family she begins to create, all feel true to the experience of many trans kids. I do wish there was a cathartic shouting match with her father where she really got to tell him off. But we don’t always get that release :) It would also be interesting to dig deeper into the conflict between Greywitch and Danny, maybe offer the counter argument from another superfeminist. All the conflict Danny faces is real and the hateful things said come from reality. However, it’d be cool to see some nuance or depth explored so the characters weren’t so black and white or that showed growth... maybe the parents will get woke in the next few books and their can be reconciliation :) The superhero world that April Daniels creates is interesting and more superhuman than hero. I love the special powers economy she creates! My only criticism is the narrator. Most of her voice work is great. However, it drives me crazy when people fall back on Southern accents when voicing people who are dumb/poor/mean. The story is set in Washington State near Seattle. Why would there be Southern accents?! Please adjust for next book! A knock-out, powerful story. I also loved the narrator's delivery for Danny. However the audio production really detracted. Why did multiple characters (not just Calamity) speak with an old timey accent?? There were also more than the average glaring mispronunciations. 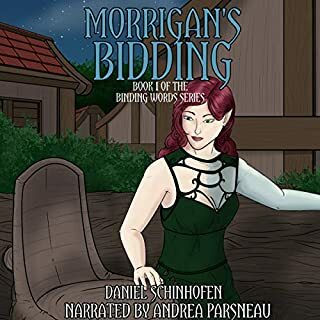 I'm making a beeline for a print copy of the sequel, I'll be avoiding Audible productions after this one. Do you ever just feel SO proud of a fictional character? This was a fantastic book. 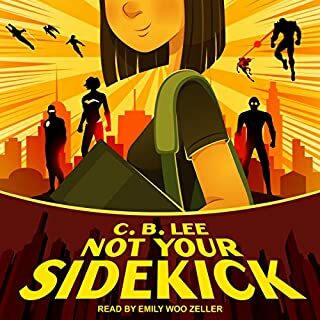 I didn’t realize how much I wanted to hear about a trans superhero until I started this book! Danny’s struggles with herself, her family, and society felt so real and so poignant; it read just like many of the experiences of trans individuals that I know. I am so so glad that I read this book and highly recommend it to all readers! Fun tech, fun characters, and casual diversity in gender identity and sexuality - I’ll take it! I like this book's world, and the characters, but the writing got bogged down at points. The narrator also really struggled with male voices. April Daniels revitalizes the superhero genre. Dreadnought is compelling, fast paced, brilliantly charactered, and downright fun. Natasha Soudek gives an incredible performance. Characters are easy to distinguish, and she captures the humor, camp as well as the anger, cruelty, pain, and kindness of Daniel's of rich characters. I loved it from start to finish. I enjoyed this story a lot, as a trans woman it hit me hard a few times. similar mindsets as the characters and whatnot. the story as a whole felt hollow though, or maybe childish. 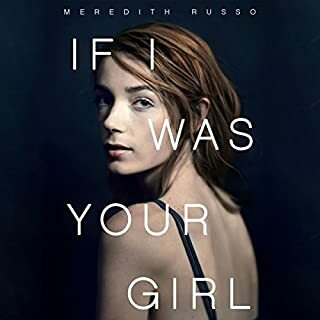 It was missing some substance and felt in many ways like a good idea of a super hero story combined with the feelings of a young trans women. I look forward to reading more though to see where she goes. 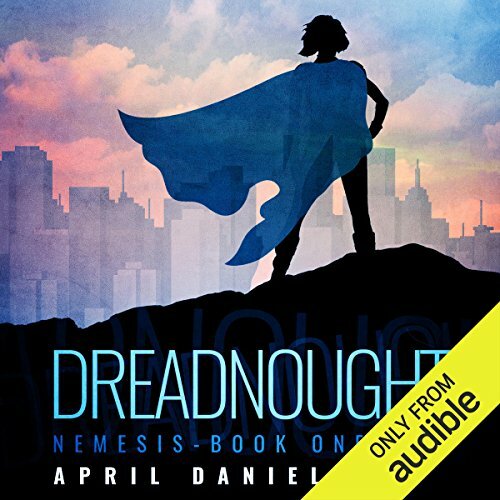 Where does Dreadnought rank among all the audiobooks you’ve listened to so far? What was one of the most memorable moments of Dreadnought? The final speech, though the action scenes were really exciting as well. Natasha Soudek's narration is top notched.